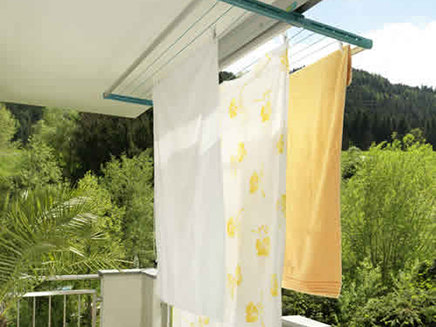 The Juwel Samba ceiling mounted clothes line dryer is an environmentally friendly and energy saving way to dry wash. 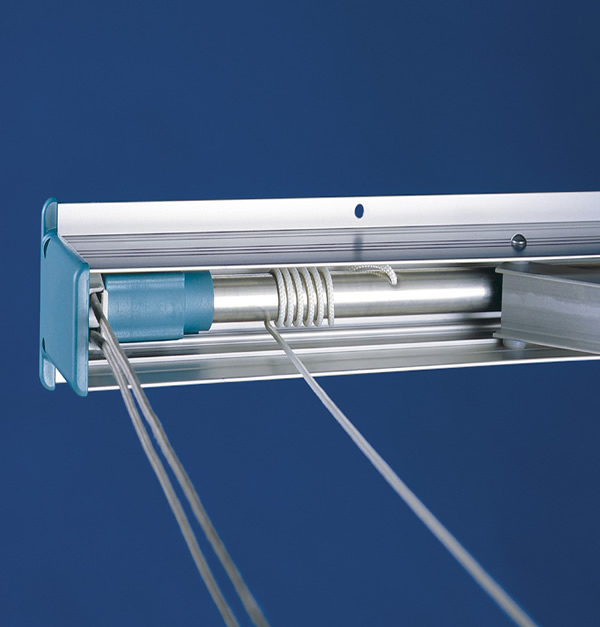 In order to use the Samba, pull the cord to allow the mechanism to expand from it's space saving ceiling mount. When not in use the Samba retracts into it's body and is practically invisible. 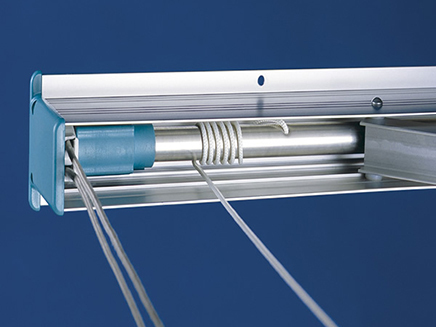 Once the Samba is installed it costs nothing to operate and will give you years of service. 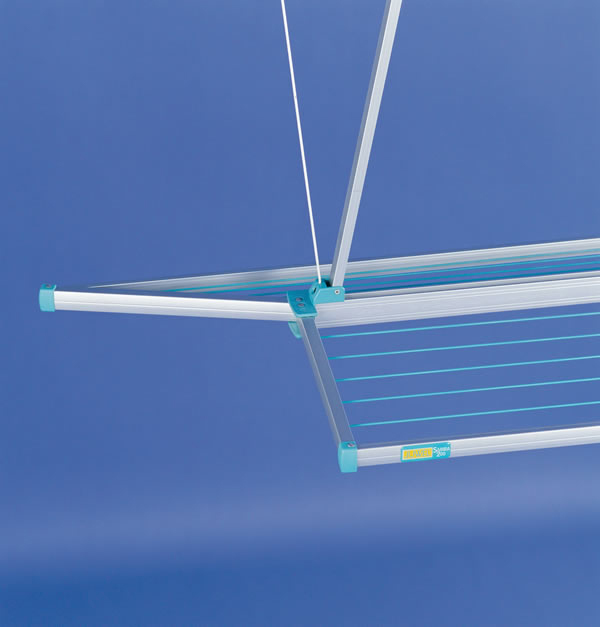 This unique line dryer can either be mounted indoors against a ceiling or under a deck or balcony outdoors. Lower the dryer as much as 4 feet, hang your wash and raise it up again - wash is out of the way. Made from high quality airplane aluminum - anodized and weather proof coating. Clothes line made from "Twaron" high tension fiber - also used in bullet proof vests. Clothes line: 62feet - enough for 2 loads of wash.
We have had our dryer for quite some time, and it is great!! It holds a lot of clothes and has been super durable, and perfect for our 500 square foot home. Hi. I would like to mount this product into my laundry room. total space is about 86 inches but shelves extend out on each side. 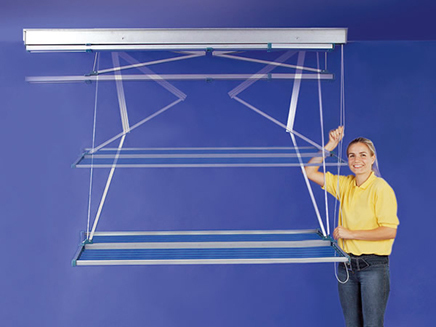 there is plenty of room on the ceiling to mount the dryer but how long and wide is the dryer itself coming out of the mounting- length and width? Would it fit between the wall shelves which extend out on each of the walls? Thank you. Folded up it is: 7" long x 5" high x 3" wide. 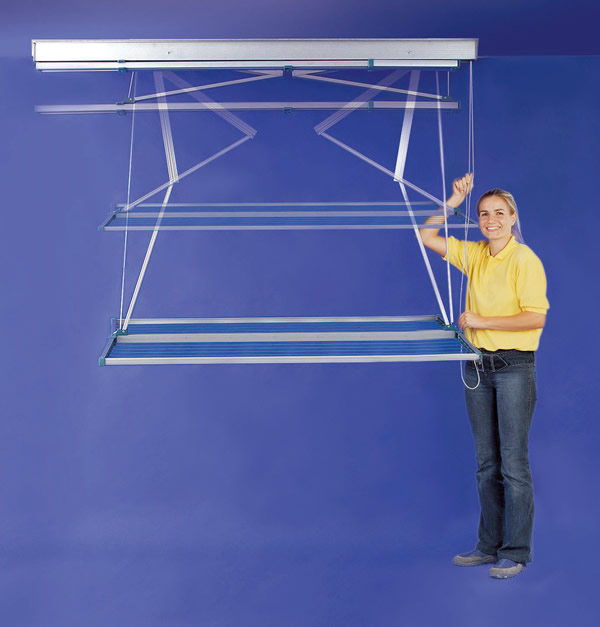 Open it is 60" x 32" and the height is adjustable to your convenience: it lowers a maximum of 4 feet from the ceiling. How wide is the unit with one drying 'wing' open? With both? If the total length of the unit's frame is 78.75, then at what measurement does the actual mechanism fold down from ... is it 5" from the end... 10...? (I have a recessed section in a room & hope it will fit) Thx very much. Hello, Thank you for visiting our website. Hopefully the following will answer your question. 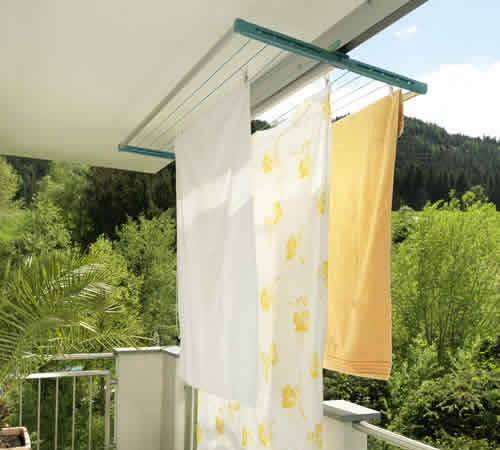 This unique line dryer can either be mounted indoors against a ceiling or under a deck or balcony outdoors. Lower the dryer as much as 4 feet, hang your wash and raise it up again - wash is out of the way. Made from high quality airplane aluminum - anodized and weather proof coating. Plastic parts made from industrial strength Polyamide plastics. Clothes line made from "Twaron" high tension fiber - also used in bullet proof vests. 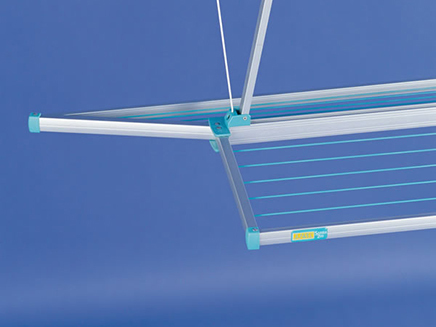 Clothes line: 62 feet - 13 strands - enough for 2 loads of wash.
What is the difference between opening 60x32 and the length 78.4"